I’ve previously posted about Gemma (yes June 2014) and I can’t believe it’s taken me until now to write about Megs. When hubby & I moved in together we couldn’t decide on a dog breed – he wanted a Beagle and I wanted a Jack Russell Terrier… so we decided to get one of each! Our thought process was “they would keep each other company during the day whilst we were at work”. In reality it turned out that they’d be double the trouble! Anyway, here’s all about Megs! We didn’t get Megs froma breeder. 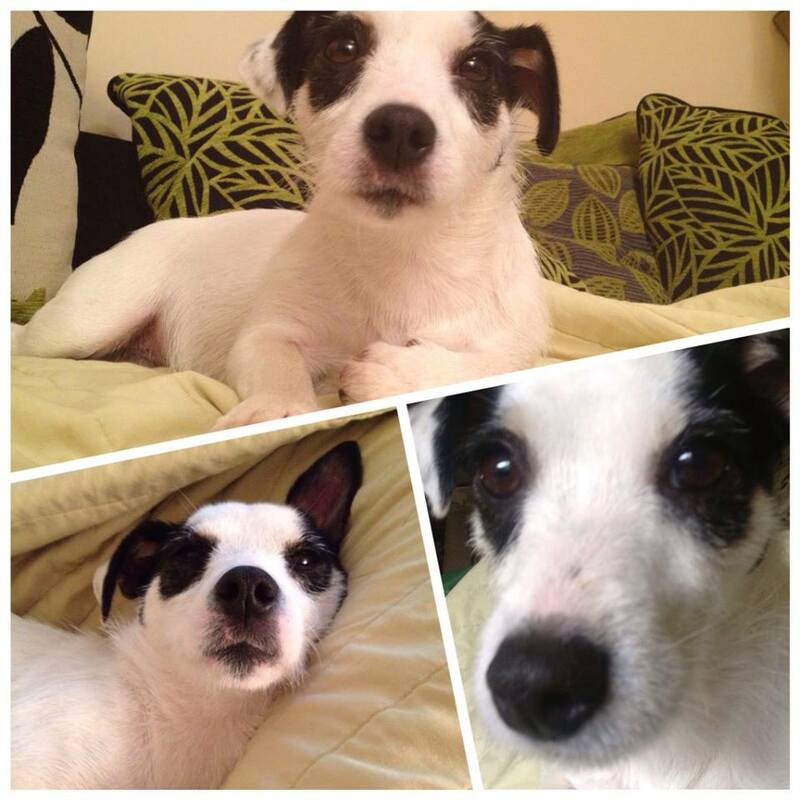 We reviewed the Pets4Homes website and found someone in Prestatyn selling JRT pups and they would be ready around the same time as Gemma. So we went to visit them and they had 3 little JRT pups. One had already been sold so there was a choice between a boy and a girl pup. The boy was a cutie – very mischevious look to him but we had no intention of cross-breeding a Beagle and a JRT (although it’d be cool since they’re called Jacobies – aww!) we decided to go for the girl pup. Here’s a photo of me and Megs for the first time. As you can see I was smitten! When Megs was 8 weeks old we went to pick her up. She sat on my lap all the way back to our house and didn’t even look back at her old owners. I think it was mostly to do with the kids – they had a 4 year old girl who kept pestering Megs! She’s a lovely little dog but there are a few things that annoy me – she is constantly licking EVERYTHING! Not sure where this has come from but it’s an attention seeking thing. But she is very loving and will always be trying to sit on you. She keeps having trouble with her nails though. The above photo is a result of her catching her nail on the doorstop and ripping it off. That was an emergency call to the vets! Thankfully we only live around the corner. So now she’s very sensitive about her nails and won’t let me cut them. Here’s some more recent photos of her. I can’t believe that she’s 5 years old now! Thank you! She is cute but looks can be deceiving! She’s a mischievous little mutt! It is a pain about her nails because like your dog we have to take her to vets to get them done. Costs a fortune! Thanks! It’s a bit of a pain that she’s so sensitive about her nails because like your dog we have to get the vet to do it – they charge a fortune! 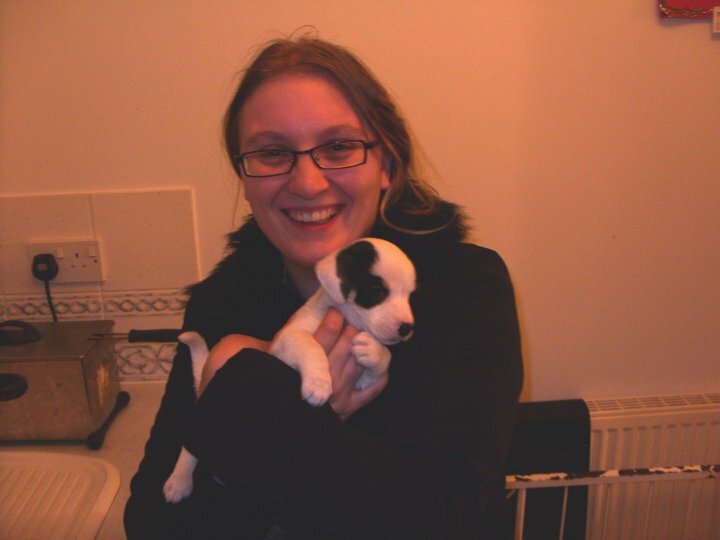 Awww, look at tiny puppy Megs! 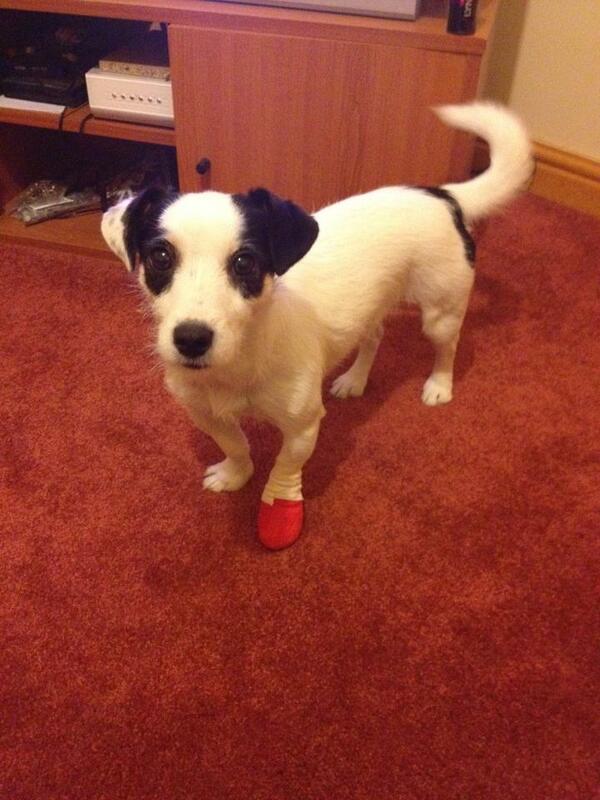 My sister has a tri-colour Jack Russell and when she first got him he was so small and cute he didn’t look real! I can’t believe that she was so tiny! I mean she’s not very big now! The tri-colour JRTs are gorgeous! She looks like a sweet pup! She is but can be annoying!